Desc: Landstrom's Black Hills Gold angel necklace. 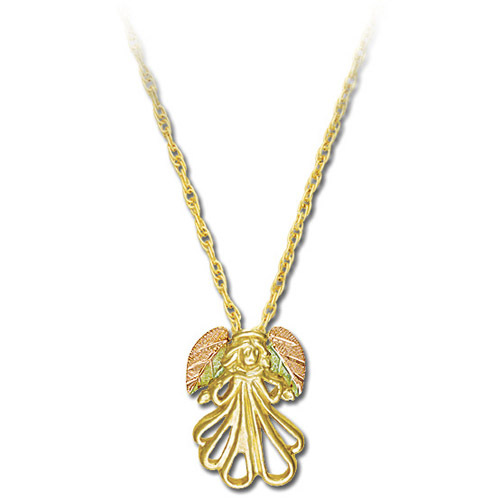 The angel is 10 karat yellow gold and her wings are rose and green gold leaves. The angel is open, filigree style. Made in the United States of America.